The Cleveland Kurentovanje Planning Committee is excited to invite local artisans and small businesses to participate as vendors in the 2018 event. The Committee is planning for 2019 to be the largest Cleveland Kurentovanje to date and we hope that you will join us to make it special. There will be music, food, and vendors filling both halls as we anticipate large crowds helping us to scare winter away for good this year. You will be provided with one 6ft table and 2 folding chairs. Electricity may be provided to vendors depending on request and availability of power sources, it is not guaranteed that electricity to your table will be provided. Table-set up time will be announced closer to the date of the event. 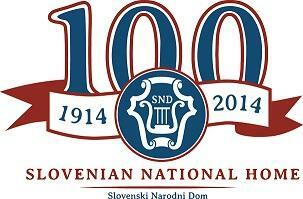 Unloading of your vehicles will take place at the back entrance of the Slovenian National. Vendors should remain in their space for the duration of the event. All vendors will be assigned a space in advance. There will no refunds of table fees even in the event of inclement weather. Vendors will need to supply all their own equipment, sans the table and two chairs. Tables fees should be paid before table set up begins. Vendors can get into the space on Saturday, March 2, 2019 as early as 8am and should have their tables prepared to begin the day by at 10am. 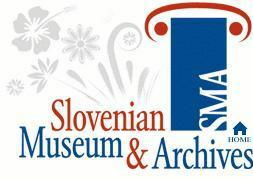 Vendors should park in the large parking lot behind the Slovenian National Home (SNH). Plan on arriving early as parking and unloading may be difficult closer to the beginning of the event. There is a electric lift at the back entrance of the SNH to assist with moving your equipment and products. We ask all vendors to move your vehicles immediately upon unloading so that others may use the space and we can accommodate the cross-traffic. Food vendors are required to have their City of Cleveland food handler, health, and/or fire permits. The permits should be visible in your booth area. All food vendors are required to obtain permits on your own efforts. Please contact City of Cleveland to obtain temporary food vendor license. Cleveland Kurentovanje maintains no responsibility or liability for vendors obtaining (or neglecting to obtain) the necessary permitting for food sales. Not all booths are guaranteed electricity. Please make sure to make a special request of electricity if it is needed in your application. No vendor, under any circumstances, may sell or otherwise furnish open alcohol for onsite consumption. Any vendor selling or furnishing open containers of alcohol of any kind will be ordered to cease immediately and may be asked to leave the event all together, without refund of Vendor Fee or any other compensation. No vendor, under any circumstances may sell raffle tickets, lottery tickets, or any other gambling-oriented items or services. If you intend to sell something that may be remotely related to this restriction, please explicitly include details of your intentions in your Vendor Application. Any vendor found in violation of this restrcition will be ordered to cease immediately and may be asked to leave the event all together, without refund of Vendor Fee or any other compensation. Not sure where you fall on this scale? Contact ClevelandKurentovanje@Gmail.com or make a note in the form below, and we'll respond to your inquiry. If you were given a code to enter on the Vendor Application form, please enter here. If you weren't given a code, please skip this field. Thank you! We will reach out to you soon regarding your application.